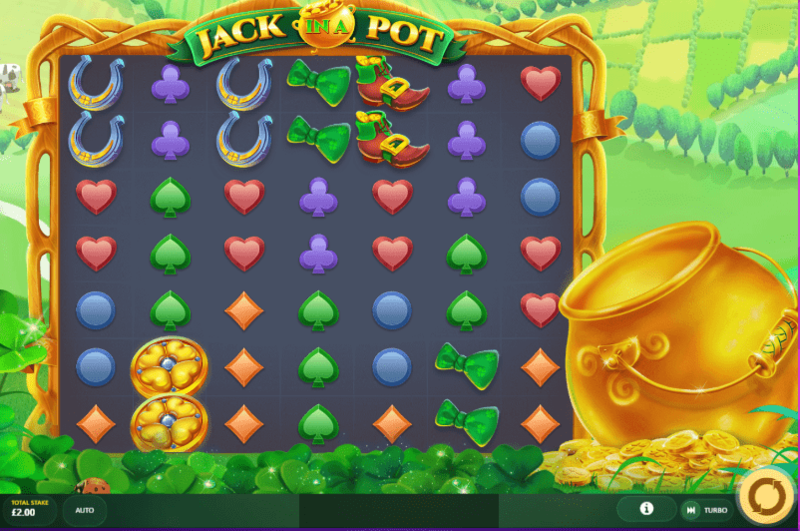 Jack the little lovable leprechaun here at WizSlts will spring into action to help you win a hefty pot of gold to take home in this exciting game of luck and fortune. You’ll see Jack jumping enthusiastically from his golden pot granting you good luck on the reels, but watch out and keep your eye on Jack, as it is in his nature as a cheeky leprechaun to play a trick or two. If you’re in Jack’s good books, he will bewitch and modify the reels and grant you bonus game features to help you on your merry way, so keep your fingers crossed that the little fella is in a generous mood! Jack in a Pot comprises a 7 x 7 grid layout and has a total of 49 reel positions. You may read our guide to help you pick the best new slots to play! The game is a big hit with its players as it gives the opportunity to win a whopping 1,734 x your bet, which will have you springing up and down higher than Jack himself! As well as the loveable leprechaun Jack, you will also encounter several other themed symbols in addition to the usual suspects, the playing card symbols. 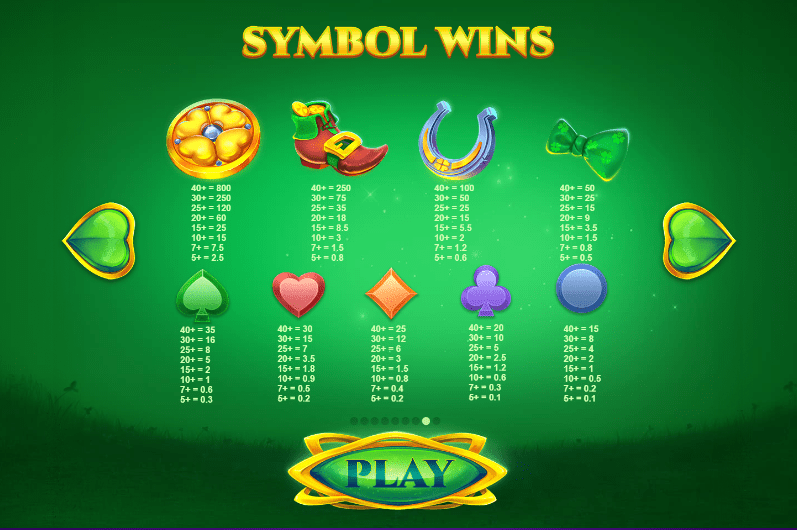 The symbols are all akin to the theme of the luck of the Irish and will make you feel immersed in the stunning Irish countryside that is the backdrop to this video slot game. You’ll see a lucky four-leaf clover, Jack’s lucky golden boot, a golden coin and a lucky horseshoe which are all higher paying symbols to watch out for. There are four different Wild symbols in this game which are the hat, the rainbow, the beer jug and Jack’s pipe. The game also features scatter symbols which are identifiable as they have a green heart and are labelled ‘Free Spins’ which is a good giveaway! The game includes cluster payouts as well as cascading symbols to help you win big, with the main aim to hit at least 5 matching symbols which are next to each other to hit a win. The look and feel of this slot game will make you feel like you have been transported to the lush, emerald green fields of Ireland, with the enchantingly charming Irish backing track being the cherry on top of a very enjoyable video slot game. The attention to detail throughout the game, from the picturesque background to the delightful characters on the reels is superbly executed, adding to the enjoyment of the game. All in all, a visually impressive game with an abundance of lucrative gaming features to get stuck into! If you enjoyed playing Jack In A Pot, why not try Astro Legends: Lyra and Erion.